The 2006 Azimut Leonardo 98 luxury motor yacht SEVEN STAR is fantastic yacht available in Australia’s Sydney and New South Wales regions for exclusive charters. 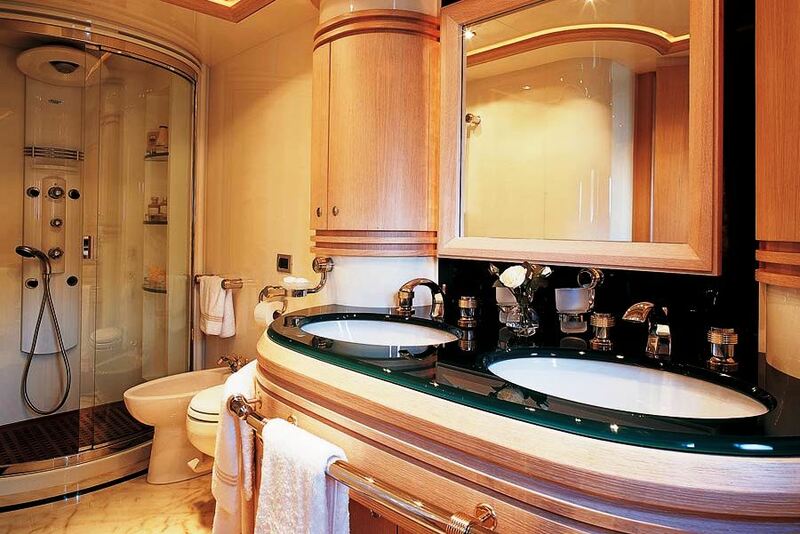 M/Y SEVEN STAR offers absolute luxury in her beautiful Italian design with room for up to 8 guests in 4 suites. 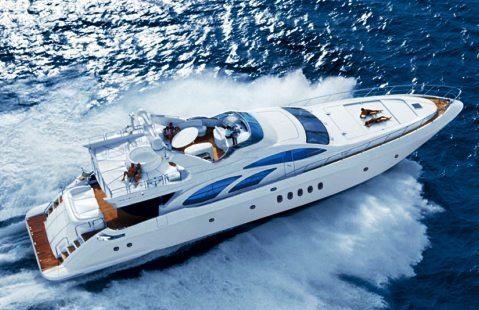 The Azimut 98 is a very stylish head turning superyacht with dynamic, flowing lines. Even with her refined styling she doesn't compromise on interior or exterior space and usability. She offers a sporty performance ride along with and impeccable style, and skilful optimisation of available space. The Azimut 98 Leonardo blurs the line between inside and out, thanks largely to a semicircular sliding glass door, the entire length of the aft saloon bulkhead, which opens at the touch of a button. 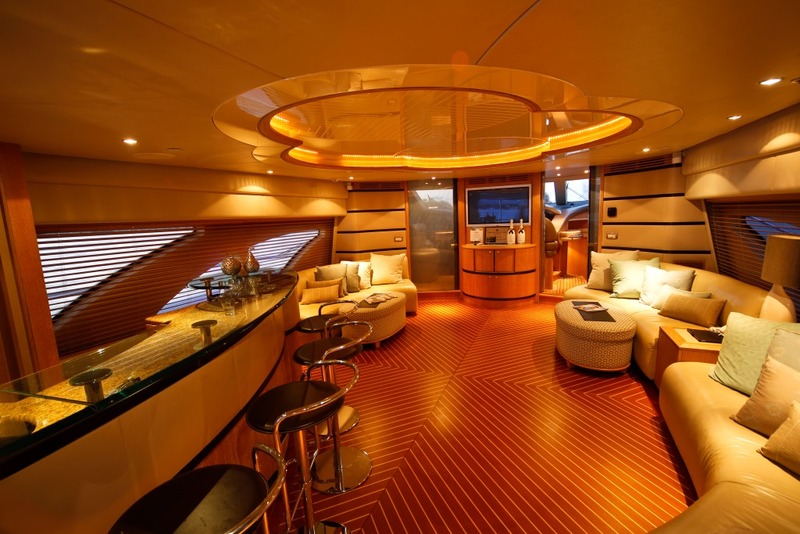 This transforms the enclosed aft dining area into an alfresco area and seamlessly blending the saloon and aft deck into one uninterrupted space. The feeling is enhanced by the fact that the entire space—nearly 1,300 square feet—is on one level and devoid of bulkheads. 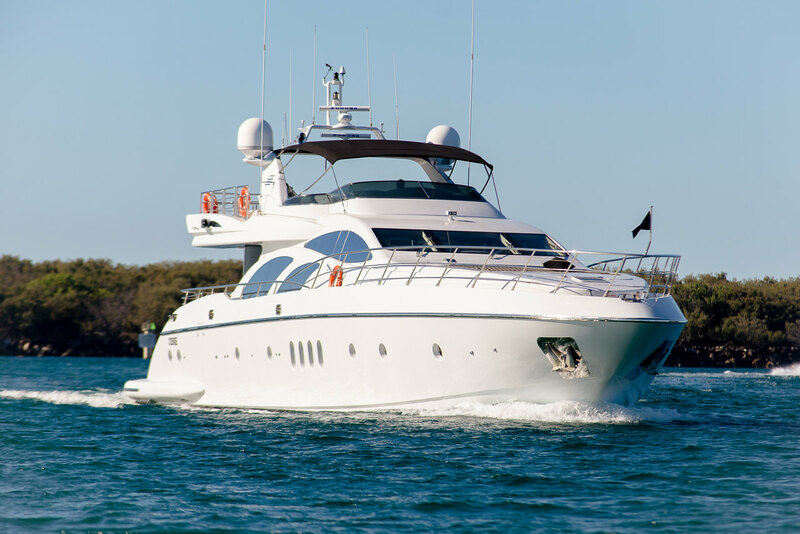 Not only is this 98 ft Azimut motor yacht finished to the highest standards of quality, she is also fully equipped with all amenities and toys required for an unforgettable Australian adventure. SEVEN STAR is crewed by a highly professional and competent Australian crew of four, just waiting to indulge your senses with the delights of Australia. The friendly crew offers everything from expert local knowledge to five star cuisine and service. 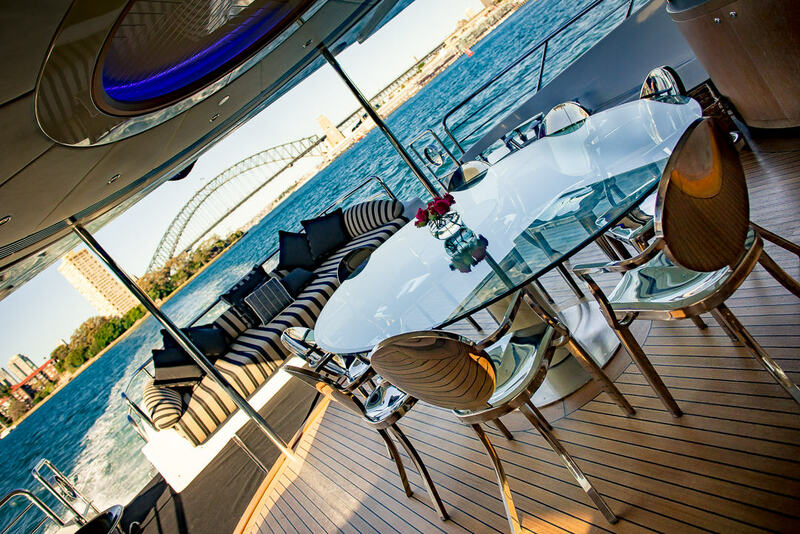 SEVEN STAR is available for charters in Australia’s Sydney and New South Wales regions. 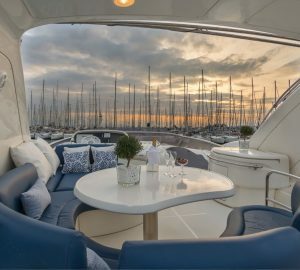 This Azimut offers first class facilities and service, for up to eight guests. - All Meals and Snacks, available 24 hrs; Non Alcoholic Beverages including fruit cocktails, fruit juices, and all soft drinks, Tea & Coffee, Water; Alcoholic Drinks, Australian and Imported Beer, Fine Local Australian Wines and Champagnes, Ports, International Spirits, Cocktails etc ; Light Aircraft transfers; Hotel Chauffer Collection; All tender excursions, fishing equipment, Dive Equipment, Jet Ski rides, water skiing, kayaks and full use of all Indulgence facilities. French and imported wines and champagnes are optional and will be charged to your account. 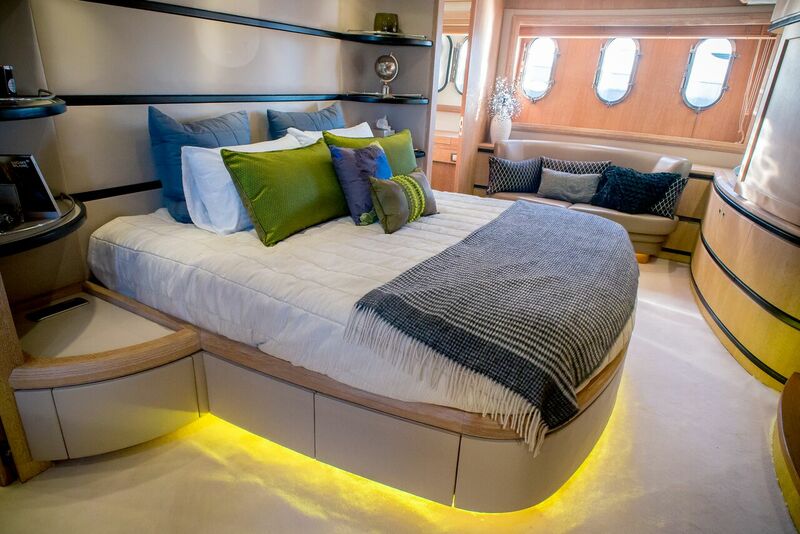 Luxury Motor Yacht SEVEN STAR is furnished with four luxurious suites all with ensuites, for a total of eight guests. The master and VIP suites offer large queen sized berths. Two further suites are a twin configuration with two single beds in each. 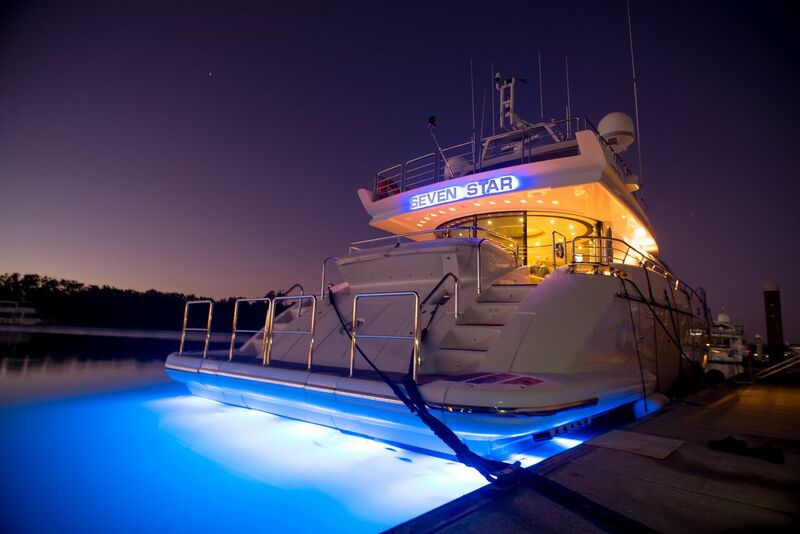 The luxury motor yacht SEVEN STAR is fully equipped with everything required for hours of fun, in and out of the water. She has two tenders, a jetski, kayaks, 8 scuba tanks, a compressor, snorkeling and light fishing gear. 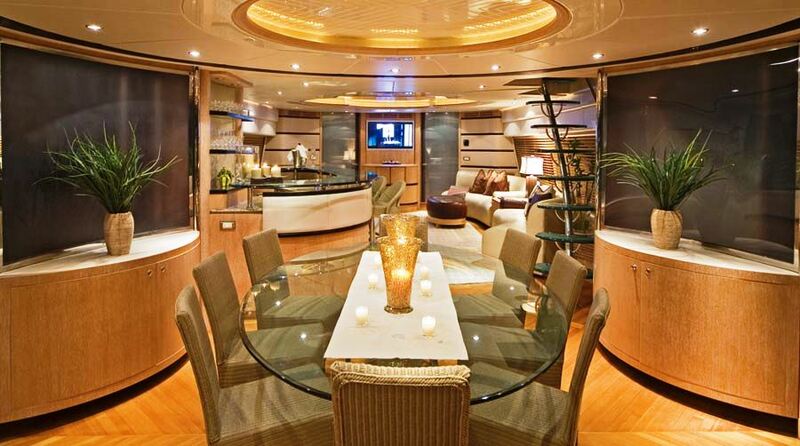 She has an entertainment system in the salon plus facilities in each cabin. She is equipped with a internet and satellite phone.